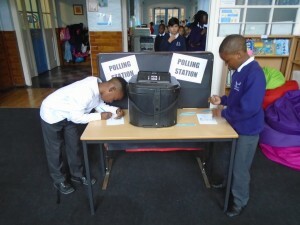 As part of our learning about life in Great Britain, Tower Bridge held their own mock election on Thursday. 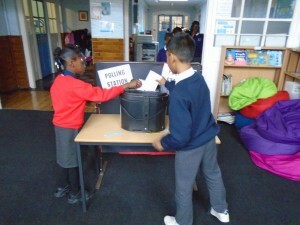 The children watched Newsround clips about the main parties and then were taken to the Polling station in the library to cast their vote. 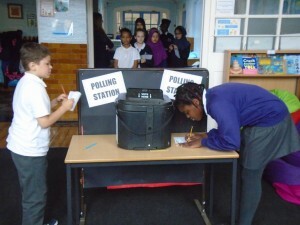 Later that day, after the polls had closed, the School Council counted the votes and acted as Returning Officers to announce them to the school. 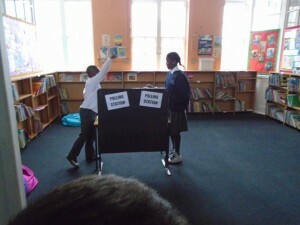 The winner of our general election was Labour with 77 votes, followed by The Green Party with 22 votes. 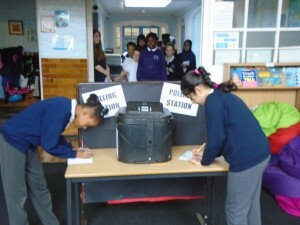 On Wednesday 7th June Year 5 learnt about the General Election and why Theresa May broke to 5 year rule. The General Election is when you vote for the next Government if you are 18 or older and if you have lived abroad for less than 15 years. It was called a snap election because it is supposed to be every 5 years but it got cut to 2 years. When I voted I really felt like a grown up, we children have not voted in a real election yet. It was very tricky to choose who to vote for. I thought carefully about the party that I really liked. If I did a real vote I would know who to vote for, I would always vote for really kind people. I know that the Conservatives have the most seats in Parliament, however no-one has won so that means it is a hung parliament. I want Labour to win because Jeremy Corbyn said he would make people age 16 and over to vote and he said we would not pay for university. 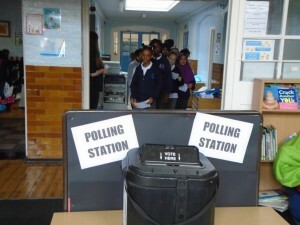 On Thursday 8th June most British citizens went to vote at the election. Some of these places include schools, churches and town halls. 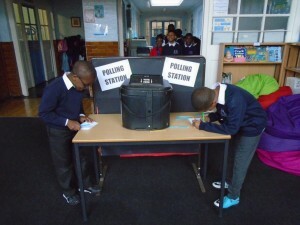 These are called Polling Stations. I feel a bit confused as to why Theresa May would want to hold another General Election in less than 2 years. 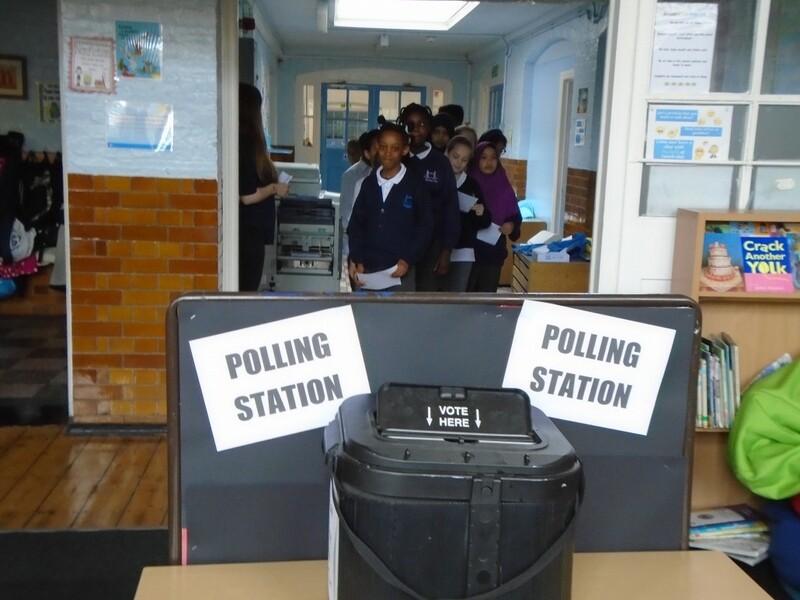 I enjoyed voting in the election, it felt very real because of the way the polling station was set up (especially the voting box). It was a very hard decision because a lot of parties seemed really good. We watched videos with lots of information about the parties, I finally chose my favourite. The Bridges Federation is made up of two schools: Snowsfields and Tower Bridge. The Federation was formed in February 2014 and became a permanent partnership in September 2015. Both schools work closely together to ensure we provide the same high quality education for all our children, however both schools have their own identity and feel.